Mondani style is here, after the international success of our “MADE OF STEEL” T-Shirt, the Mondani cap and Polo shirt, we are pleased to present you the Mondani Slipper made exclusively by Mount Street Shoe Company for Mondani. 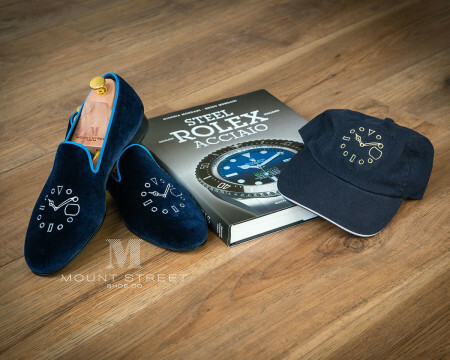 Slippers are available for both men and women, the men’s slipper is made from rich navy blue velvet with blue Grosgrain trim featuring blue leather lining and hand painted blue leather sole and features our famous watch dial Mondani Club logo that is embroidered in silver. 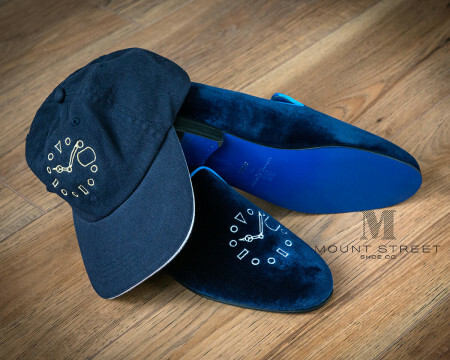 The women’s slipper is made from soft navy blue kid suede in the same colour combination. 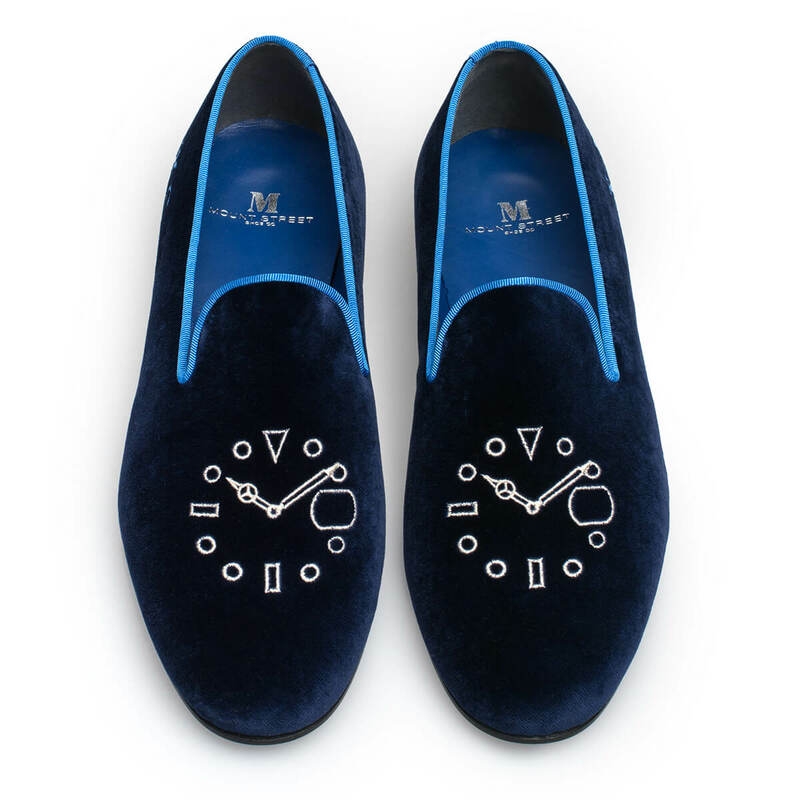 This slipper is made to order exclusively by the Mount Street Shoe Company for Mondani Club members who will benefit from free shipping when ordering this specific slipper, please enter your specific membership number at the time of ordering to benefit. 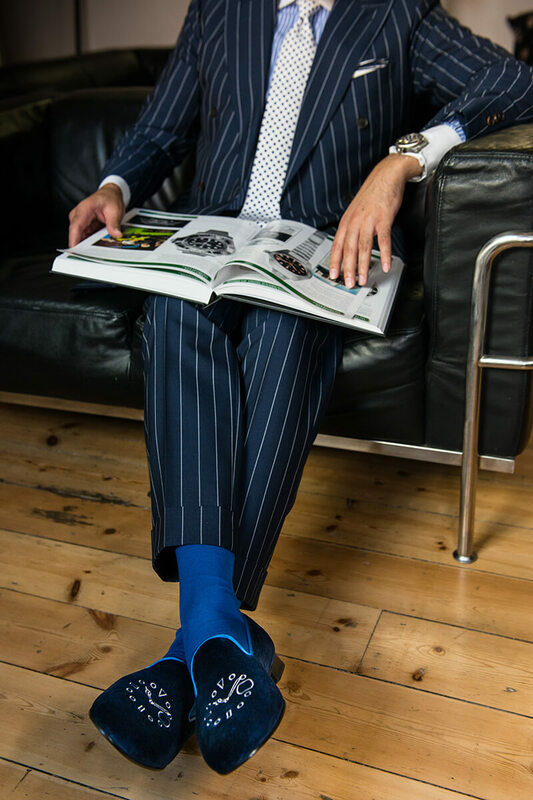 Available in all size scales, UK, EU, US and JP. 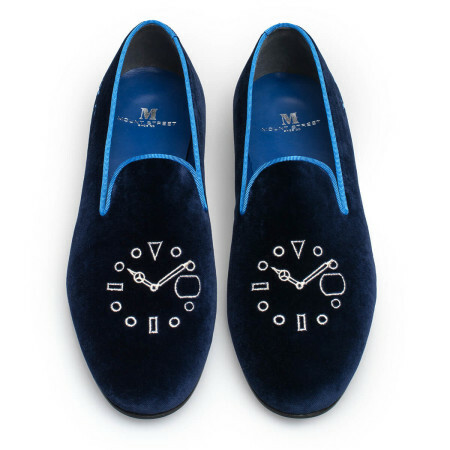 Please allow up to 6 weeks for them to be made for you. 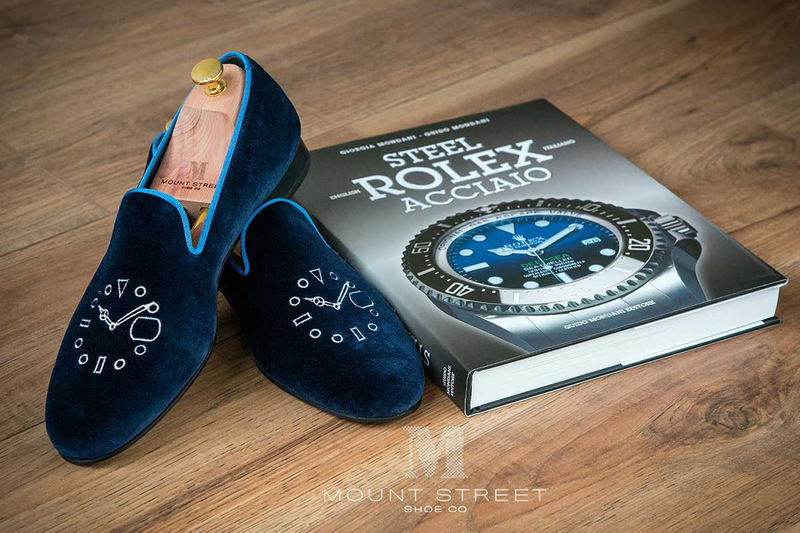 The Mount Street Shoe Company brings together traditional quality workmanship, the fine art of bespoke tailoring and an enduring passion for personal style. 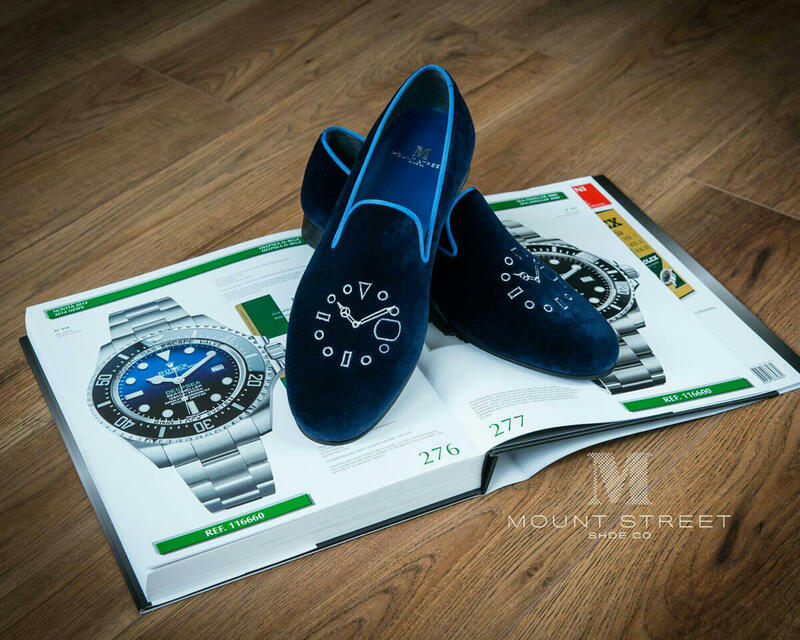 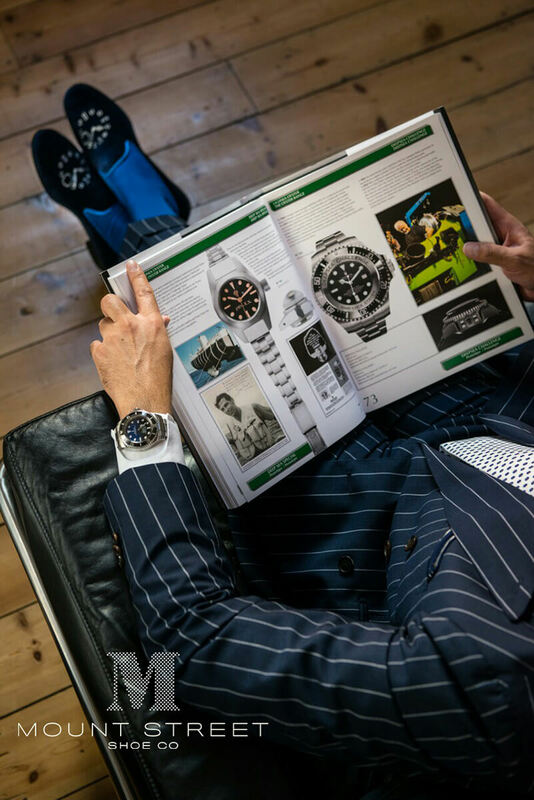 Above all, we offer you choice – the opportunity to ensure that your shoes truly reflect who you are. A shoe company literally built from the customer’s sole upwards. 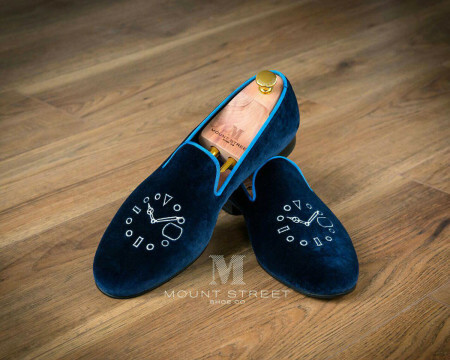 With Mount Street Shoe Company you are not bound by a single look; the colour, the fabric, the lining, and leather, all these infinite combinations are chosen by you so you no longer have to buy shoes off the shelf again.